And so came the day that comes at the end of all good holidays – the one where you have most of a day to kill before your flight home, and no particular enthusiasm for doing anything. The one where you talk a lot about what you’ve been doing instead of actually having another day of doing. The one where it hits you. The end-of-holiday blues were beginning to settle in. 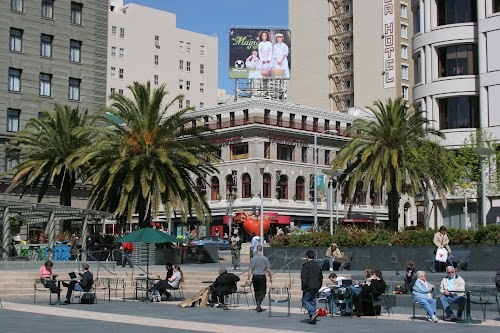 We had decided if we set off early enough we could have time to scoot into central San Francisco and do a bit of final shopping and have a nice breakfast. Our flight wasn’t until early evening, so we weren’t in any great hurry to get to the airport. We got up fairly early and headed off. After a brief stop in Monterey for fuel and coffee we headed up the main road towards San Francisco. It proved an interesting drive as there was some early morning mist rolling in off the Pacific. I remember turning on the car radio and listening to an America’s Top Ten with Casey Kasem, or something similar. 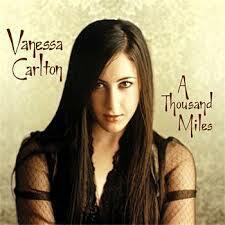 One song really stuck in my mind, “1000 miles” by Vanessa Carlton, I guess because it’s a bit sad and very American, and it kind of summed up the mood I was in at the time. To this day I can’t hear the song without thinking of the holiday, and specifically that Sunday morning drive. It didn’t seem to be very long before we were in the southern suburbs of the Bay Area and heading up the freeway towards the airport. 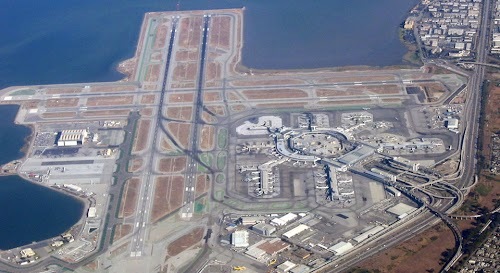 It was early so we passed straight by the airport and headed for downtown San Francisco. 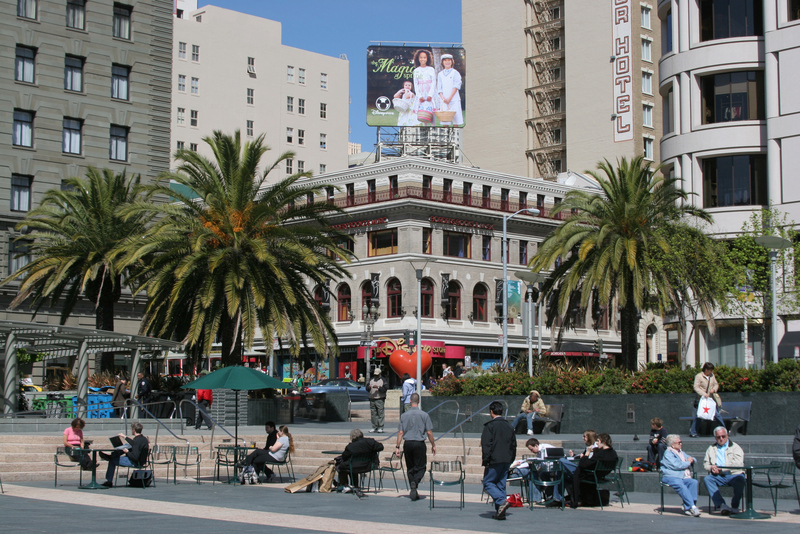 We parked up under Union Square and went for a walk around. To end with a sense of completeness we went back to the café where we’d had breakfast twice at the start of the holiday, and had another fine bowl of homemade granola, double chocolate muffin with extra chocolate and some traditional American coffee. We then went to the shop where Kevin had bought his new wide-angle zoom lens at the start of the holiday. It had not been functioning properly, and I think the internal software was not compatible with the new camera body I was using. This meant I had been unable to use any of the manual programme settings on the camera and had ended up with most of the photos taken with this lens looking a bit washed out. I could probably have sent the lens off to Sigma when I got home, but I felt more inclined just to change the lens. Thankfully the man in the shop was very nice and agreed to take the lens back and swap it for a more expensive Canon branded one. He didn’t really have to do this because I had been in possession of the thing for 3 weeks ( and it was looking a bit grimy ) but anyway he took it back and I just paid him the difference in price between the Sigma and the Canon. The Canon lens worked perfectly straight away, and although I had paid him in total the same amount of money I would have paid for this lens in the UK, I at least got a good quality functioning lens, so I left feeling that I had got a reasonable deal. And so back to the car again. It was still only a little after lunchtime, but we had really run out of enthusiasm by now and just wanted to get on our way. We got up to the airport in no time and found the car rental return quickly. They were perfectly happy to accept the car as it was, despite the fact it had changed colour from white to desert red. This was probably because we’d paid for all the upgrade insurances, so we could have just deposited a pile of twisted metal and it would have been covered. Anyway, they got us bussed up to the terminal quickly and we checked in. We were very, very early and had about 3 hours to kill in the airport. San Francisco isn’t the largest terminal I’ve been to and the shopping didn’t last long, so after walking to one end and having a coffee, we walked halfway back and bought a couple of souvenirs for our friends James & Emma who had been looking after the house for us. We then settled down in one of the hotel bars and began to work our way through our few remaining cash dollars. We had enough for a couple of beers and a couple of cokes each, and plenty of time to drink through them. The bar is one of the ones which shows sports on big screens, so that the punters have something to do and something to talk about. It stops you getting depressed while waiting for your plane. On this day, we got the twin delights of watching a San Francisco Giants game on one screen, and an English Premiership game from the previous afternoon on another. We can’t remember who the Giants were playing, but the Premiership game was Liverpool vs Newcastle Utd. We’d never watched English football with an American commentary before ( or since ) and it was a little weird. The commentator had the strange opinion that the English season on his channel didn’t really start until they’d been to their first game at Anfield. This is a strange notion for we English ( unless you’re a Liverpool fan ), because Liverpool haven’t been the best team in England for many years. 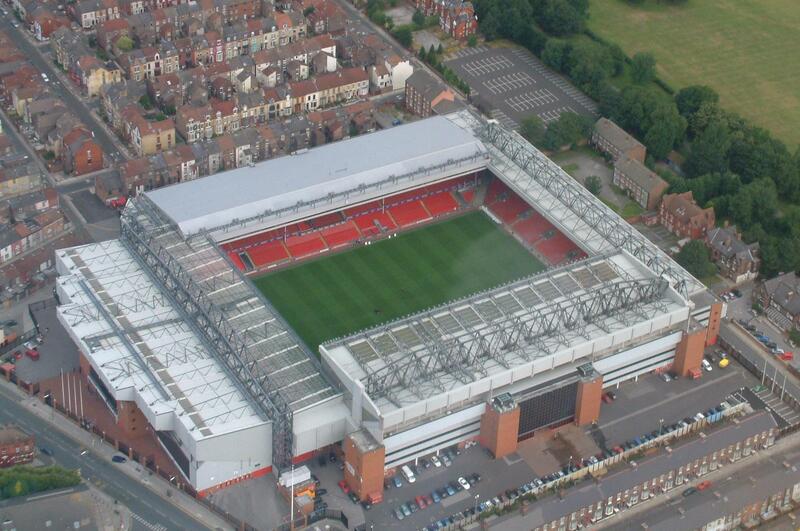 Nevertheless, it proved to be the typical Liverpool / Newcastle encounter with lots of enthusiast tackling. And that was it. The flight home was uninteresting and uneventful in the way that a 10 hour flight should be. The car was where we had left it 23 days before, and it started first time. The drive home was uneventful and when we got home we had a massive pile of laundry to do, and a bucket load of films to get developed. You have been looking at some of the photos as you’ve been ploughing through this diary.